After boosting the pay of its security guards, Apple will also grant its shuttle bus drivers at its Cupertino headquarters 25 percent raise, it was announced on Monday. The wage hike will apply to about 150 drivers who shuttle employees to and from Apple's corporate campus, the company confirmed to the San Jose Mercury News. Apple's shuttles are operated by contractors, including Compass Transportation and Royal Coach Tours. Drivers recently began to speak out against tech companies in Silicon Valley, specifically taking issue with unpaid downtime in between routes driven in the morning and evening. Royal Coach Tours said that the new wage increase initiated by Apple will make its drivers among the highest paid in the region. Drivers for Compass Transportation recently joined the Teamsters union, and must wait for the wage increase to be approved. Apple also revealed that it will improve the driver break and rest areas as part of its comprehensive plan. Drivers assigned split shifts will earn "premium pay." The huge wage gap between contract workers and the high-income tech employees they serve has become a hot button issue in the San Francisco Bay Area. Skill positions at Silicon Valley companies command median yearly incomes of about $119,000, while non-skill jobs rate about $27,000. Apple also announced last week that it has moved away from using security contractors, and will instead employ full-time guards for its headquarters. Those employees will be granted the same benefits as other Apple workers. Oy vey. Unless someone is doing 25% more work, I can't see the sense in this. Apple should include stock options a reward for long of service too. How better to reward loyalty and enthusiasm? Isn't this a third party providing service to Apple? 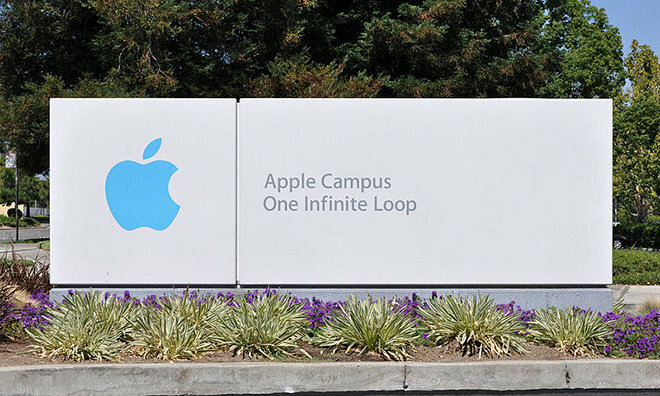 Why in the world would Apple give stock to non-employees? I meant purely to those that were employees obviously. The term long service was referring to long service with Apple. I could have sworn I read an article recently on AI saying Apple was taking the security in house and making a joke about A-Men. Maybe I am mistaken as you are so quick to chastise me. This story is referring to bus drivers, not security. Sheesh! My comment was simply a comment about ways Apple can further improve things for working folks at Apple. Sorry, sometimes I forget pedantry rules here. I wrote, "Apple should include stock options a reward for long of service too. How better to reward loyalty and enthusiasm?" See that word at the end of the first sentence...? "too". Honestly, your responses seem hypersensitive. Since when was wages a measure of the amount of work performed? If so I'd like to see the amount of work Apple execs do in a day. Must be quite impressive. For once trickle down economics isn't a myth! Perhaps "Why in the world " isn't used as a put down in the USA? In which case my bad. Never was a myth! The last twelve year have been hell for people working for a living. During the Reagan years it was a far different story. I'm not saying the concept is perfect just that what has happened to working people over the last decade is far worst. Apple must be the most socially and economically progressive mega-corp in the world. I wonder what would happen if Apple were to become more politically engaged, particularly in US states like Arizona and Texas. Al Gore may end up being glad that he didn't win the White House. At the end of the day, being on the Apple board of directors might be the more powerful position. This appears to be an awesome way for Apple to keep unions out of its business! Arizona and Texas are just fine the way they are (few less illegal immigrants would be nice). California is a pile of crap that no one wants to be like. How about because they can't afford to live on the salary that they're making. How about because it's unethical for a company with the profits of an Apple to have employees (whether hired directly by Apple or through a third party) who are suffering economically. How about because doing it your way is exploitation and if I'm correct that most of the drivers are probably black or hispanic, not to do so reeks of racism. I'm not claiming that bus drivers should be rich or that they should make anywhere near as much as those who invested in their education. But they deserve a wage that enables them to afford decent housing in a decent neighborhood and puts food on the table and clothes on their backs without having to live week-to-week. It would also be nice if they could save enough so they could send their kids to a public college. Why should a bus driver make less than say, a marketing assistant or a just-out-of-school junior business analyst? It's the right thing to do and it makes Apple look good. As Apple and other tech giants (Google, Facebook, etc.) get larger, they don't want to be perceived as running a "company town" in which the needs of the company take total precedence over the needs of the people who live there. And Apple also doesn't want to be perceived as another uncaring giant company like so many others. As companies get larger, they risk becoming what they originally intended never to be like. Perception is everything and Apple's customers need/want to feel good about the company they're buying products from. I believe that Apple's efforts to raise the wages of its unskilled employees and contracted labor, its continued efforts to make sure their products are environmentally sound, the attempts to make sure their overseas contract factories are treating the employees decently and not hiring minors, etc., are all highly beneficial to Apple's reputation and in the long term, will increase sales and profits for the company. In fact, it might be for easier for Apple to differentiate themselves in this way than with technology, especially since it has become so easy for other companies to copy Apple's technology and frequently offer it at a perceived lower price. Stock Options for Bus Employee's? Really??? HAHAHAHAHA, a 25% raise is already to much. I wish I just got a 25% raise just like that. That would be nice. These are Bus Drivers, ZERO skill jobs. There's no need to give Stock Options. That's generally a bad idea anyway, let alone to bus drivers. If they leave, so what, they're a dime a dozen, zero skill, means they can be replaced by pretty much anyone. C'mon, this is the US where the less you do the more money you make.